How did we get to a point in which our method of communication has gotten progressively shorter and shorter over time? The other day on Twitter there was a hashtag asking people to tell a story in three words. Just. Three. Words. We have a President who prefers to write major statements about policy that impact the entire world on Twitter. When you are limited to only 140 characters (characters, not words! ), how can anyone expect to really understand what he means? And when pre-teens and teens only “talk” to their friends using brief phrases and emoji’s, what are we left with? We use words to express our feelings to others about our observations, concerns, and hopes. How will our children learn to do this if they are cutting out an enormous opportunity for verbal and written expression by dumbing down the message? Researchers are assessing whether emoticons help us communicate better or hinder self-expression. They have found that on one hand it is nice to have an international symbol for certain emotions that we can easily click on to communicate how we feel about a Facebook post. However, emoticons convey a limited choice of emotions, reducing ways to truly express our full range of feelings we have on an issue. It also cuts out the opportunity for people to use descriptive words to say how they feel because they are given a shorthand option to simply click on one image that is supposed to capture their thoughts and feelings. This is unfortunately limiting opportunities for expression, and if our children grow up with this quick option, it will impact how they express their emotions as they grow. Additionally, when we hide behind our devices instead of talking face-to-face with those who we love, we miss out on a major chance for emotional connection. According to Psychology Today, this kind of communication interferes with actual conversation and undermines our ability to connect with others. Social media actually becomes a barrier to connecting with others. As children are constantly exposed to these quick impersonal ways of “expressing” themselves, they miss out on learning how to accurately convey their thoughts and feelings both in writing and out loud. Nothing beats looking into someone’s eyes to truly understand what they mean and how they feel. A huge part of our daily communications depends on visual cues like facial expressions, body language, posture, and tone of voice. In fact, studies show that only 7 percent of communication is based on the written or verbal word, while 93 percent is based on nonverbal body language. Sitting behind a screen sending a few words or images is not going to help you really understand how the person on the other end thinks and feels. As children spend more time in this world of snippets, they are losing the ability to pick up on these non-verbal expressions which can be so important in understanding others. UCLA scientists found that sixth-graders who went five days without using a smartphone, television, or other digital screen did much better at understanding human emotions than those who spent several hours a day looking at their electronic devices. Patricia Greenfield, the author of the study, explained that decreased sensitivity to emotional cues is lost when in-person social interaction is replaced with screen interaction. Learning how to read other people’s moods is a skill that takes a lot of practice. Sadly, children today are missing out on developing that skill. Children and teens lose out on a whole slew of social skills when they only communicate in short statements online. Learning how to interact in person with others and to speak in public are critical skills for future success. Our kids need to practice these skills throughout their childhood to get ready for critical moments in their lives like school presentations, college and job interviews, and making an announcement at a social event. In addition, other basic social skills are also being affected. In an article on Huffington Post, Melissa Ortega, a child psychologist at the Child Mind Institute, pointed out how children are struggling to deal with face-to-face conflict because they are used to hiding behind their screens to communicate. They are not getting enough interpersonal exposure, and Ortega said that conversations take practice. Experts are also seeing how this type of limited communication is influencing the dating world. 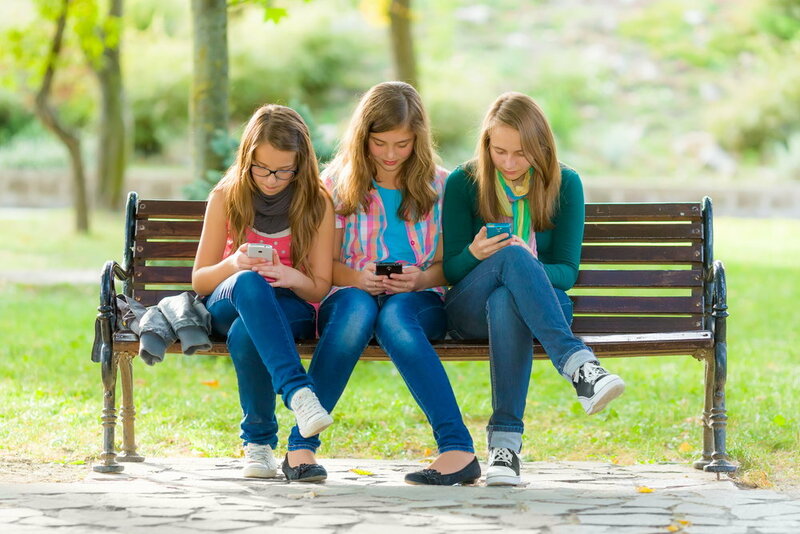 Teens raised to just text and not hold a personal conversation are limited in how they can express their feelings to their peers. The lack of direct communication is impacting their ability to build trust and develop an emotional connection with others. Another way that brief communication is changing our children’s lives is in the classroom. The way kids are communicating online is creeping into their school work, leading to sloppy grammar, spelling mistakes, and reduced creativity. The best literature throughout history is filled with embellished language and imaginative stories. If our children limit the number of words they use to tell a story or to debate an issue, the entire premise of communications changes. The Association of American Educators indicates that social media has led to students talking in “text-speak”, causing an overall trend of bad grammar, bad punctuation, and bad spelling for the sake of convenience and speed. Abbreviations used on social media are also making it into coursework, which is clearly incorrect language. The Guardian reported that a paper released by the English Spelling Society concludes that the internet has revolutionized the English language and made spelling mistakes the norm. This is not a surprise since we now rely on crutches like auto-correct that reduces the level of thought required to write. How many times have you misinterpreted what someone wrote in an email or text? So much is lost in translation when we are unable to see or hear how the person is communicating specific words to us. If children are primarily communicating with friends and family by typing phrases, that leaves so many opportunities for the message to be misconstrued. This can lead to stressful situations because the reader may jump to the wrong conclusion that the writer intended to be hurtful, when in reality it was just how the words were interpreted. Brief communication can then lead to negative emotions like anger, depression, or anxiety over how someone thinks they are being treated. As an example, an article in Forbes discussed how the instances of misinterpretation are growing in the business environment. As people are rushed, stressed, and primarily communicating by quick electronic messages, they are not taking the time to consider the nuances of their writing. This is leading to more conflicts about the tone of emails. It is only worse with our children who are gossiping and making plans with friends in group texts using symbols and acronyms. How does someone really know what it means when the writer uses all capital letters? Are they yelling, joking, or just highlighting an issue? When someone responds to you with a one- or two-word answer, does that mean they are brushing you off? With this type of communication, we are left to draw conclusions with very little information. If our children do not learn how to tell people exactly what they mean using complete sentences, how will they ever be happy and successful? A day doesn’t go by when we hear suggestions for limiting our children’s screen time. We are all struggling to implement this in our homes. What else can we do to encourage our children to communicate more thoroughly and effectively? Read every day with your children at all ages, but the real key is to also discuss what you are reading. Ask tons of question and encourage your kids to summarize the stories. Create games that involve developing a story together. For example, fill a jar with topics and then ask each family member to write or state 3 sentences. Keep building the story. Teach your children how to debate and encourage them to join a debate team when they get older. Ask your kids questions and encourage them to talk about how they feel. It is so important to set aside special times to have these deep conversations. Encourage your children to journal so that they can practice expressing their thoughts and feelings in writing. Ask them what adjectives they used and challenge them to develop their thoughts even more. Have fun analyzing each other’s or stranger’s body language in person or on television. Eat meals together as a family and include your children in conversations about all types of topics from how their day at school was to current affairs. Provide public speaking opportunities for your children, even if it is something as simple as ordering their meal at a restaurant.